Online insurance broker PolicyGenius, which	guides users through	a	five-minute	Q&A	to	develop	a	personalized,	in-depth	review	of	all	their	insurance	needs	based	on	their	financial	and	family	situations, announced that it had raised a Series B round of funding, led by Revolution	Ventures, along with previous Karlin	Ventures,	Susa	Ventures,	AXA	Strategic	Ventures, Transamerica	Ventures and MassMutual Ventures,	the	corporate	venture	capital	arm	of	Massachusetts	Mutual	Life	Insurance	Company. PolicyGenius has previously raised a $750,000 seed round and a $5.3 million Series A in June. This latest round brings its total funding to over $21 million. 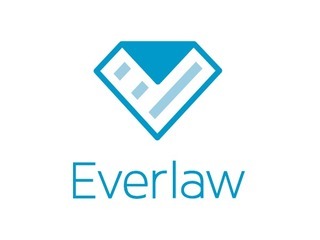 Everlaw, provider of a litigation and e-discovery platform, today announced the closing of an $8.1 million Series A round led by major venture capital firm Andreessen Horowitz. Andreessen Horowitz has previously backed many top-name tech companies, from Facebook and Twitter to Airbnb and Oculus VR. Though no other participating investors were disclosed in its announcement, Everlaw has previously raised over $1 million in seed funding from K9 Ventures, Monumental Venture Partners, NAC Ventures, and Ulu Ventures. 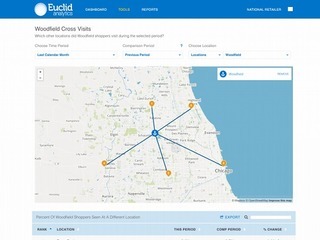 Location analytics company Euclid Analytics, announced on Thursday that it has raised a $20 million Series C funding round, led by Cox Enterprises. Participation in the round also included new investor Groupe Arnault, the controlling shareholder of LVMH - Moët Hennessy Louis Vuitton, the world leader in luxury products, and Gold Sky Capital. Existing investors Benchmark Capital,NEA and Harrison Metal also participated. This is the first funding that Euclid has raised in nearly two years; its last round, a $17.3M million Series B, came in February of 2013. The company has now raised a total of $44 million. 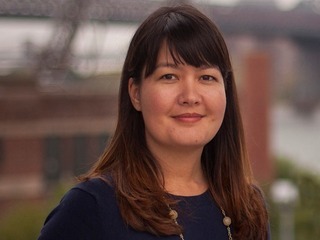 MoveWith Inc., a San Francisco startup, which aims to kindle a social connection with a network of instructors, has picked up $3 million in seed funding. MoveWith allows people to follow instructors of particular workout types much the way the masses on Facebook can follow one another. 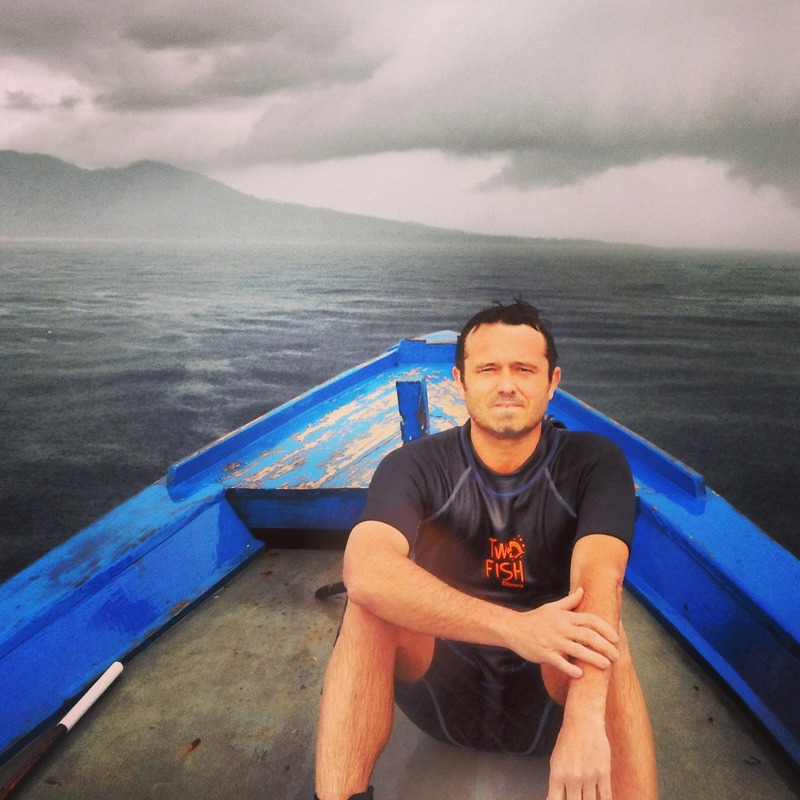 The investment in MoveWith was led by Forerunner Ventures and included Accomplice and Founder Collective. CourseHorse, a NYC-based marketplace for people to discover and enroll in trusted local classes, raised $4 million in funding. The round was led by Red Ventures, with participation from existing investors (Brian Cohen, Owen Davis, Paige Craig, Scott Banister, Charlie Cheever, Clark Landry, and Learn Capital). The company will use the funds to accelerate new market expansion beyond New York City, Los Angeles, and Chicago, and expand its engineering team to build out its product offerings. Walker & Dunlop, Inc. and Rentlytics announced today that Walker & Dunlop has made a strategic investment in Rentlytics, a technology platform for owners and managers of multifamily real estate assets. The $9.1 million Series A round of funding led by Walker & Dunlop includes additional participation from both new and existing investors, including Grey Wolf. Rentlytics will use the funding for additional product development and market expansion. The cloud-based business intelligence (BI) software developed by Rentlytics streamlines multifamily management within a single platform, enabling owners and managers of multifamily assets to analyze disparate property and portfolio-related data, such as financial, operational, and marketing information, to make more-informed management decisions. INTURN, a B2B SaaS platform that reinvented the way brands and retailers sell and purchase off-price inventory, today announced that it has completed a $9.7 million Series A financing round. The funds will be used to expand the company’s sales and client services teams to support its growing network of global brands and retailers. The investment brings INTURN’s total funding to $13.6 million. The financing round was led by Novel TMT Ventures, founded by Silas Chou’s two sons, Luis and Bruno Chou, and Andrew Fine, and included previous investors Forerunner Ventures, Lerer Hippeau Ventures and T5 Capital. New investors include Benvolio Group, the investment arm of Lew Frankfort, Chairman Emeritus, Coach, and his family; Shuco LLC, an investment arm of Stanley S. Shuman; Khajak Keledjian, Co-Founder of Intermix; Bam Ventures, founded by Brian Lee, Co-Founder of Honest Company and serial angel investor; and Fabrice Grinda. Call9, which offers emergency care via video visits to nursing homes, raised $10 million in a round led by Index Ventures with participation from Y Combinator Partner Ali Rowghani, previously an exec at Pixar and Twitter; Palantir Cofounder Joe Lonsdal; and 23andMe CEO Anne Wojcicki. Call9's video visits service connects nursing home patients to an emergency room doctor. Boomerang Commerce, a Mountain View, CA- and Chicago, IL-based provider of a guided-analytics suite for retailers, raised $12 million in Series B funding. The round was led by Shasta Ventures with participation from existing backers Madrona Venture Group and Trinity Ventures. The company intends to use the funds to expand its product offering. MindTouch, a customer experience-centric SaaS provider on a mission to make customer product and help content valuable again, today announced it has raised $12 million in its Series A investment. PeakSpan Capital led the round with participation from SK Ventures and SAP SE. MindTouch has successfully bootstrapped to profitability without taking venture funding until today. MindTouch will use the new funds to increase its product capabilities and integrations with companies such as Salesforce, SAP, Oracle, and others, as well as grow its marketing, business development, sales, and engineering teams. Babylon Health, which like PushDoctor, lets you have video consultations with a doctor (and a lot more), has raised a $25 million Series A round led by Investment AB Kinnevik, the Swedish listed investment fund. Others participating include Babylon’s original backer Hoxton Ventures, and the founders of BXR Group. In addition, Richard Reed, Adam Balon and Jon Wright (co-founders of Innocent Drinks) also joined the round, as did Demis Hassabis and Mustafa Suleyman, founders of Deepmind, the AI group bought by Google for $500m, who were already advising the digital health startup. Looker, a startup selling data analytics software, is announcing today a $48 million funding round led by Kleiner Perkins Caufield & Byers. Looker started in 2012 and is based in Santa Cruz, California. The startup says it has more than 450 customers, including Cigna, Docker, Etsy, Jet, Lyft, Sony, and Yahoo. The startup has raised $96 million since launching in 2013, including the $30 million round from last year. Alongside Kleiner, Meritech Capital Partners, Redpoint Ventures, and Sapphire Ventures also participated in Looker’s new funding round. Today App Annie, a mobile app data and insights platform, announced that it has closed $63 million in total financing, with majority equity investment led by Greenspring Associates and additional participation from existing investors e.Ventures, Greycroft Partners, Institutional Venture Partners (IVP) and Sequoia Capital. App Annie will use the new capital to improve and expand upon its suite of industry-leading products, and further scale global business operations to meet the growing needs of app publishers. The Series E round of funding was led by new investor Greenspring Associates, a leading venture capital firm with investments in prominent information technology, healthcare and communications companies. Anaplan, one of several cloud companies selling software to streamline corporate budgeting, has raised another $90 million, bringing its total backing to almost $240 million. The Series E round, which was led by India’s Premji Invest, boosts the company’s post-money valuation to more than $1 billion, according to Anaplan CEO Fred Laluyaux. The other backers were Scotland’s Baillie Gifford, along with Founders Circle Capital, Harmony Partners, and Anaplan’s current investors. Anaplan’s latest funding will go primarily toward global expansion. NEA is the entrepreneur’s venture capital firm. When it is time to take a promising business or business idea to the next level, entrepreneurs want a venture partner who understands and believes in the power of big dreams, bold visions and fresh ideas that have the power to change an industry, a sector, the world. Moreover, entrepreneurs want a venture partner who knows what it takes—through first-hand experience and carefully nurtured relationships—to make a company succeed, to turn an idea into an action, and to make a plan a reality. For more than 30 years, NEA has been helping to build great companies. Our committed capital has grown to $13 billion, including a $2.6 billion fourteenth fund closed in 2012. We invest across stage and geography in technology, healthcare and energy. Remaining nimble as we’ve grown—with more than 65 investment professionals working out of our offices in the US, India, and China and investing across the globe—NEA is the entrepreneur's venture capital firm, consistently ranking among the top firms in portfolio IPOs each year. Since its founding, the firm has backed more than 175 companies that have gone public and invested in more than 290 companies that have been successfully merged or acquired—more liquidity events than any other venture capital firm. Whether you are seeking investment to get your idea off the ground or looking to propel a proven idea toward greatness, NEA is the venture partner who will be there—because we’ve been there—every step of the way. 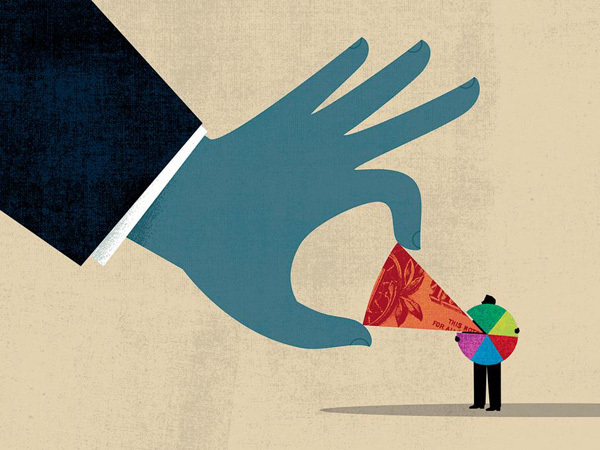 Many venture firms would be best described as a collection of free agents who pursue their own deals and share offices and overhead with their partners. They are more mercenary than missionary and will tell you to focus more on the individual partners and less on the partnership. We hope to have the opportunity to show you how we are different. We are true partners who have built our own firm together, brick by brick; the same way you are building your company. When we commit to supporting your company, each and every partner in our firm commits to contributing his or her network, creativity and resources towards achieving your success. We are big believers in the power of teams. We believe you will want an investor with whom you can build a close, supportive relationship over a number of years, yet who will be bold enough to challenge your thinking and your expectations. If Index looks like a good fit, we encourage you to learn about us through the stories and news articles on this website. We invite you to read about the companies we have invested in, and to speak to the entrepreneurs we have partnered with. Their experience is our best reference.